First up I read Wishful Drinking. 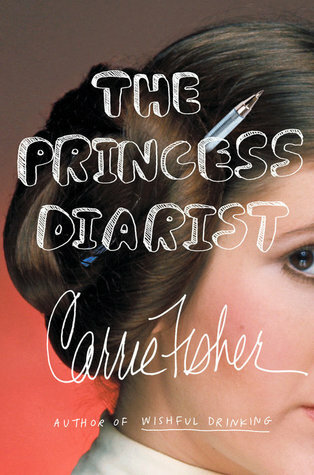 This was a very interesting read and gave a look into Carrie Fisher’s life. It’s got humor, shocking reveals and all around shows off Carrie in a light that many may not have seen. It was a little sad to read it knowing that she is gone, but I’m glad that I did. Because this is a biography, I will not be posting a review of it. 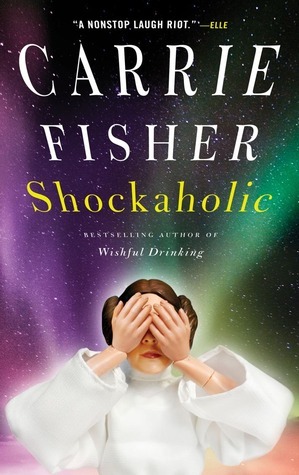 Then I read Shockaholic. 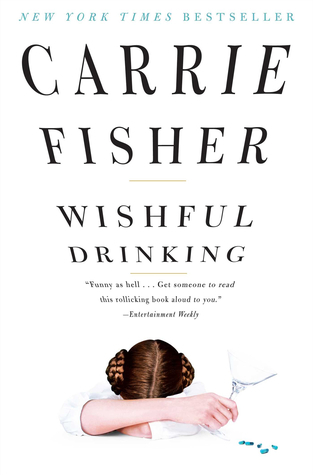 This is Carrie Fisher’s second biography and I didn’t enjoy it as much as Wishful Drinking. A lot of it is similar to the first book and then there are some chapters that seem so random I didn’t feel like they added anything – like the Michael Jackson chapter. Still glad I read it even though it wasn’t a huge attention grabber. I will not be posting a review for this one either. 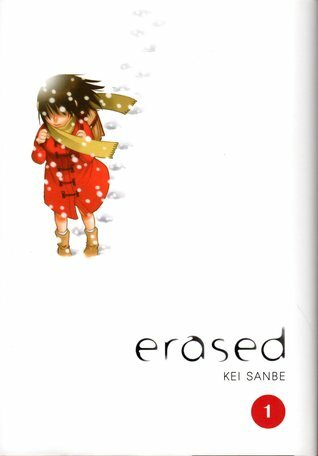 Finally I read Erased Volume 1. I had bought this book the previous week during my trip to the city and I’m so glad that I did. This was such an amazing book with a rich story line and great art. I cannot wait for the second volume to be out in a couple of weeks. I’ll be posting a full review of this one in the coming weeks. While it doesn’t feel like I watched a lot last week, I actually did. I ended up clearing out several things from my PVR including episodes of Deadliest Catch, River Monsters, My 600lb Life and The Last Alaskans. On the weekend we had a Star Wars Rebels marathon, watching most of season 3 because we realized that we never watched the last couple of episodes and figured it would be best to start rewatching the whole season – we came close to watching all of it, but some bad weather prevented us from watching the last few episodes. For Family Movie Night we ended up watching Hero, which was good, but the boy didn’t enjoy it as much as we hoped he would. I got lots of work done in the garden last week. Hours spent weeding, fixing the border, fixing the fence, replacing one of the raised beds that had rotted. The only thing I didn’t get done was planting because the weather turned to rain and is obviously not ideal conditions for planting. Soccer kept up busy for a few evenings as well, and the boys team continues to win every game, but some of the other teams are definitely making them work for it. 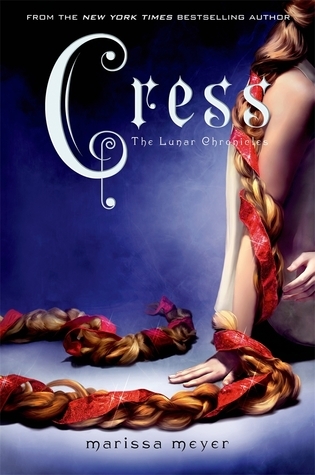 I will finish Cress this week. I have been working on this one for too long, reading other books when I should be finishing this one, so I am not allowing myself to read anything else until it’s done. I really want to see how the second half of the book works out, so I have no reason to not read it. We will be finishing up season three of Star Wars Rebels this week. I also want to try to finish up season four of The Golden Girls, I think I’m about half way or so, so it shouldnt’ be too much work to do that. It’s the boys pick for Family Movie Night this week, so I’m not sure what he is picking. It’s the second last week of soccer for the boy, so between his three regular games and a mini tournament, this will take up a decent amount of time. If the weather is good, and so far it doesn’t look like it will be, I will finally be planting the garden. Ooo… Erased! The move is really happening. We have temporary housing squared away and most of our home library in storage now. Come see what I’m reading this week. It was SO good, cannot wait until volume 2 arrives in a couple of weeks. Glad to hear things with the move is going well.